Does extort trigger multiple times for each instance? is Basilica Screechers ability counted as white and black? You're gonna want Epicure of Blood in there. 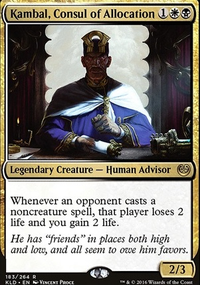 It's literally the only thing in pauper that let's you win-by-lifegain. Also consider something like Tithe Drinker or Basilica Screecher. 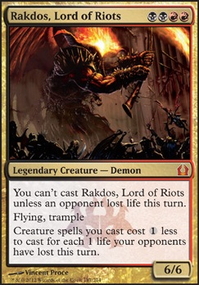 And also Dark Ritual, because you don't want to wait until T5 for your Epicure of Blood. Finally, I would also then go up to 4 or more Night's Whispers (meaning possibly use Sign in Blood or Altar's Reap in addition). Abnormal Endurance, Shade's Form, Supernatural Stamina, Unhallowed Pact and Undying Evil would all save you mana getting your commander back in play. You might also consider Basilica Screecher and Syndicate Enforcer since you need life gain. Soldevi Adnate could be a good mana and sac source. Also, there are many different combos you can play in PDH, Ghostly Flicker combos just have the most consistency and least number of pieces. First of all I'd add Fatal Push. It's very usefull when you want to remove an annoying opponent's creature. Probably I'd put it instead of Reaper from the Abyss, since it's true that the reaper is a creature that does good things, but it costs really much. I understand why Awaken the Bear and Unnatural Predation are there (you want trample creatures). But aren't better Rancor, Vines of Vastwood or Predator's Strike? teh_grimness on Vona gonna do 'bout it? 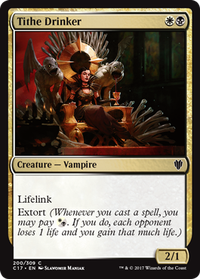 I like the idea of a vampire subtheme, it unintentionally works very well with what I feel like you're trying to do, and there's a ton of great support and synergy from the precon and ixalan stuff. @mean_green_machine, the main reason I run Basilica Screechers over more Mourning Thrulls is for the Extort, which can help get that bit of reach you sometimes need. Another reason is because they don't die to Electrickery and other 1 damage sweepers. Considering the current meta, I think that's pretty important. Beckon Apparition I've really liked for a few good matchups. Against Reanimator, you shut down their main gameplan. 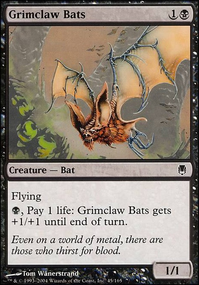 Against Stompy, Aristocrats, or similar decks, Undying creatures lose most of their value. 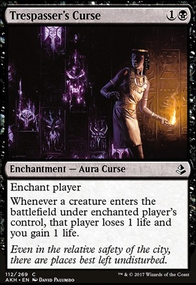 Against Control, key flashback cards get neutered, such as Mystical Teachings or Forbidden Alchemy. Not to mention, the token is a flier and both white and black, so good for Edge of the Divinity. I've been considering Castigate for a while now, but I'm just running the list as is while the meta is how it is now. With the recursion theme, I really should add a Burnished Hart. I really do like extort. I think Basilica Screecher and/or Tithe Drinker could fit into this deck at their mana cost. Just not sure what to pull for them. I would still add either a few more (mana) artifacts or ways to cheat in some more lands. Mostly, because quite a few of your creatures are expensive to cast. In terms of artifacts, I was thinking Pearl Medallion, Jet Medallion, Worn Powerstone or Thran Dynamo. For some more land cheating, I was thinking about Burnished Hart, Solemn Simulacrum or in case you're feeling saucy, Weathered Wayfarer. From your description I gather you really like extort. How about adding some more extort stuff then? 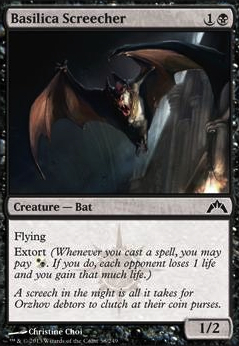 Helps with chipping away at your opponents, and fuels you with the life you need to use some more of your creatures' /artifacts' special abilities. Some great stuff you could think about: Basilica Screecher, Tithe Drinker, Treasury Thrull or even Pontiff of Blight.